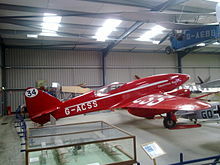 The de Havilland DH.88 Comet was a twin-engined British aircraft that won the 1934 MacRobertson Air Race, a challenge for which it was specifically designed. It set many aviation records during the race and afterwards as a pioneer mail plane. Picture - G-ACSS "Grosvenor House"
Three orders were indeed received, and de Havilland set to work. The airframe consisted of a wooden skeleton clad with spruce plywood, with a final fabric covering on the wings. A long streamlined nose held the main fuel tanks, with the low set central two-seat cockpit forming an unbroken line to the tail. 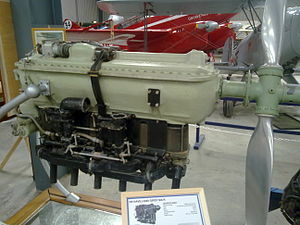 The engines were essentially the standard Gipsy Six used on the Express and Dragon Rapide passenger planes, tuned for best performance with a higher compression ratio. The propellers were two-position variable pitch, manually set to fine before takeoff and changed automatically to coarse by a pressure sensor. The main undercarriage retracted upwards and backwards into the engine nacelles. The DH.88 could maintain altitude up to 4,000ft (1,200m) on one engine. De Havillands managed to meet their challenging schedule and testing of the DH.88 began six weeks before the start date of the race. 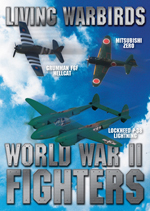 On the day of the race, the three distinctively coloured planes took their places among 17 other entrants ranging from a new Douglas DC-2 airliner to two converted Fairey Fox bombers. First to take off at 6.30 a.m. on October 20 were Jim and Amy Mollison in their own G-ACSP Black Magic. They made a faultless journey to Baghdad, and reached Karachi at around 10 a.m. on the second race day, setting a new England-India record. Problems began for the Mollisons when their landing gear failed to retract, and after returning Karachi for repairs they were again delayed by an inability to navigate at night. Further problems followed when they made an unscheduled refuelling stop at Jobbolpore but found no aviation fuel. Running instead on fuel used by the local bus company, an engine piston seized and an oil line ruptured. They flew on to Allahabad and retired. 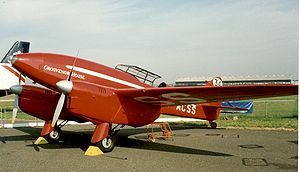 The scarlet G-ACSS was the property of Mr.A.O.Edwards and was named Grosvenor House after the hotel which he managed. 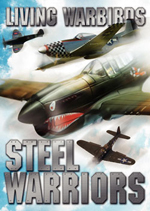 The crew were Charles W.Scott and Tom Campbell Black. When the Mollisons ran into problems at Karachi, C.W.A. Scott & Tom Campbell Black took over the lead and were first into Allahabad. Despite a severe storm over the Bay of Bengal they reached Singapore safely, 8 hours ahead of the DC-2. They took off for Darwin, but over the Timor Sea lost power in the port engine when the oil pressure dropped to zero. Repairs at Darwin got them going again, although continuing oil warnings caused them to fly the last two legs with one engine throttled back. Their lead was unassailable despite this, and after the final mandatory stop and more engine work at Charleville they flew on to cross the finish line at Flemington Racecourse at 3.33 p.m. (local time) on October 23. Their official time was 71 hours 18 seconds. 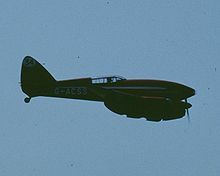 The third plane G-ACSR had been paid for by racing driver Bernard Rubin and was flown by Owen Cathcart Jones and Ken Waller. They had to make a second unscheduled stop at Baghdad after they found they had had a serious oil leak. They were forced to delay for repairs which were carried out by T.J.Holmes. They caught up with the Mollisons at Karachi. 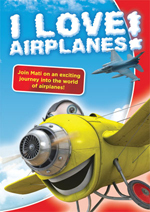 They were the fourth plane to reach Melbourne, in a time of 108 h 13 min 45 s.
Cathcart Jones and Waller promptly collected film of the Australian stages of the race and set off to carry it back to Britain. Their return time of 13� days set a new record. G-ACSR, renamed Reine Astrid flew the Christmas mail from Brussels to Leopoldville in the Belgian Congo in 1934. It was then sold to the French government as F-ANPY and set a Croydon-Le Bourget record of 52 minutes on July 5, 1935. It subsequently made Paris-Casablanca and Paris-Algiers high-speed proving flights. Black Magic was sold to Portugal for a projected flight from Lisbon to Rio de Janeiro. Reregistered CS-AAJ Salazar it made various flights from London to Lisbon, setting a time of 5 h 17 min in July 1937. Grosvenor House was later fitted with Gypsy Six series II engines and made several race and record attempts under various names. It claimed fourth place in the 1937 Marseilles-Damascus-Paris race, and later the same year lowered the out-and-home record to the Cape to 15 days 17 hours. In March 1938, Arthur Edmond Clouston and Victor Anthony Ricketts made a return trip to New Zealand covering 26,450mi (42,567km) in 10 days 21 hours 22 minutes. A fourth Comet, F-ANPZ, was built for the French government, with a mail compartment in the nose. The fifth and last Comet named G-ADEF Boomerang was built for Cyril Nicholson, and piloted by Tom Campbell Black (of Grosvenor House fame) and J.C.McArthur in an attempt on the London-Cape Town record. It reached Cairo in a record 11hr 18 min but the Cape Town attempt was abandoned due to oil trouble. Grosvenor House has been restored to flying condition as it was in the MacRobertson race, and is housed at the Shuttleworth Collection at Old Warden in England. Black Magic was found in a ruinous condition in Portugal in 1979. It is currently undergoing restoration in Derby, England. G-ADEF crashed in Sudan September 22, 1935. The crew escaped by parachute. G-ACSR and F-ANPZ were destroyed in a hangar fire at Istres in France in June, 1940. An airworthy full-scale replica of the DH.88 Comet was built in 1993 by Thomas W.Wathen of Santa Barbara, California. N88XD flies wearing the full colours and registration of G-ACSS 'Grosvenor House'. Another example, started in the United States, is under steady construction by the Croydon Aircraft Company at Old Mandeville Airfield, near Gore, New Zealand. In the Dutch aviation comics series "January Jones" the title heroine, a US racing pilot in the 1930s, flies and owns a De Havilland DH.88, usually indicated as (De Havilland) Comet. Its red-with-white colour and #43 resemble Grosvenor House. 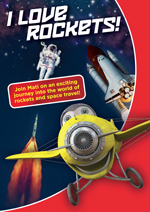 This series has been published in Dutch, French, Danish, Norwegian, Finnish, Portuguese, Catalan, Spanish and German. The DH.88 might have been the last of the high performance wooden aircraft but for a shortage of metal for aircraft construction during World War II. As it turned out, experience with the DH.88 would be put to use in designing one of the war's finest aircraft-the de Havilland Mosquito. The clean lines of the DH.88, especially in the striking colours of Grosvenor House, make it a true design classic. Picture - Preserved at the Shuttleworth Collection One of the original Gipsy Six R racing engines that was fitted to the winning DH.88 Comet Grosvenor House (background) of the MacRobertson Air Race in 1934, the engines were removed from the aircraft following the race and replaced with the more reliable standard Gipsy Six engines.